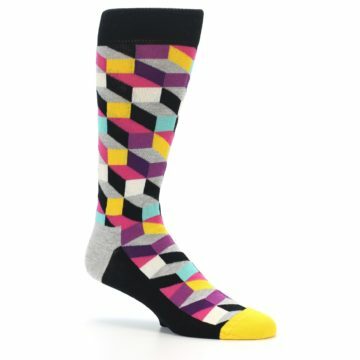 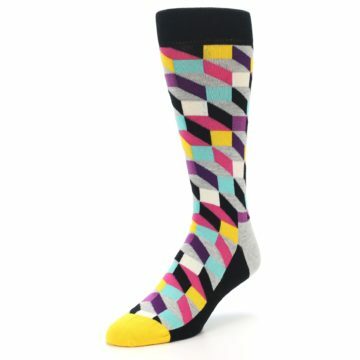 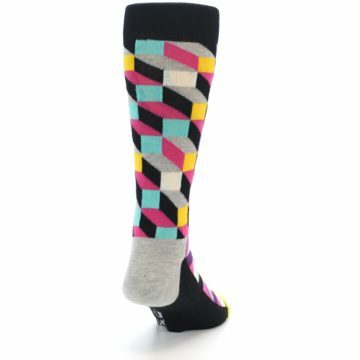 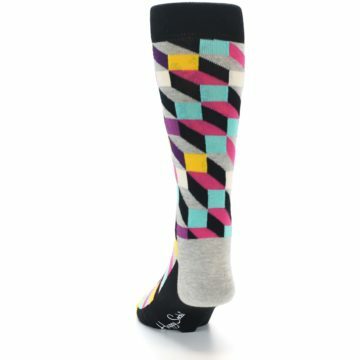 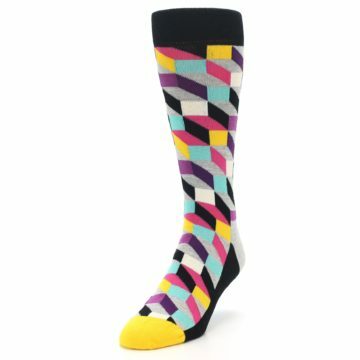 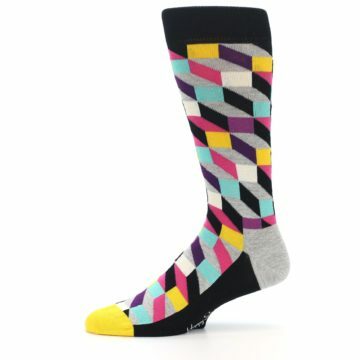 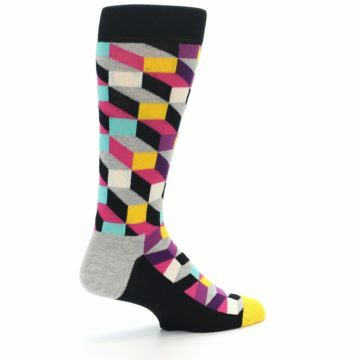 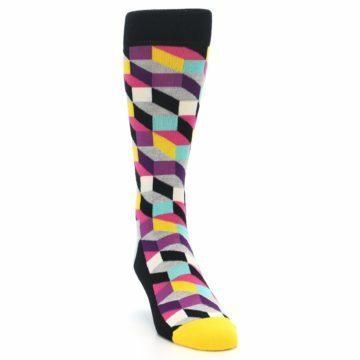 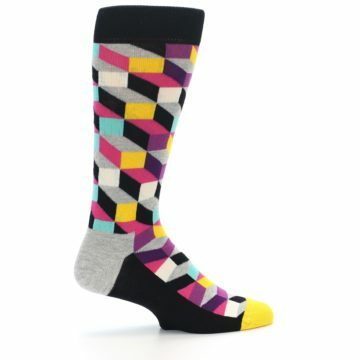 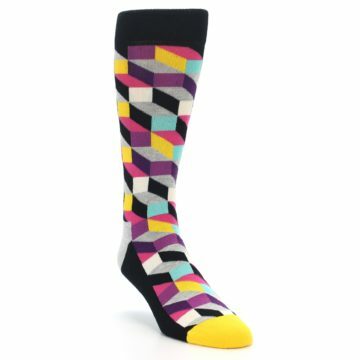 Brand: Happy Socks - an iconic sock brand known for fun and crazy patterns and colors. 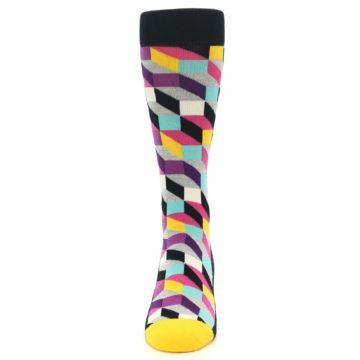 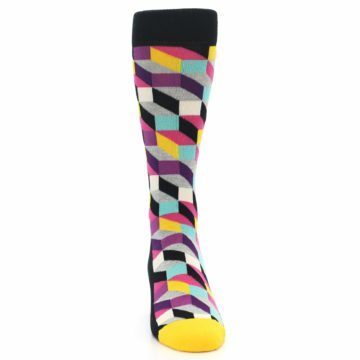 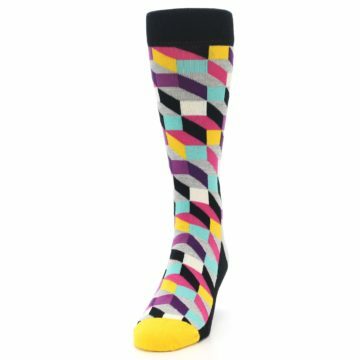 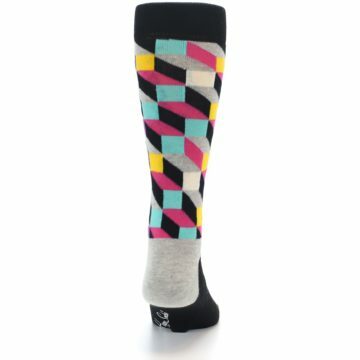 Happy Socks features an almost endless variety designs, crossing a wide spectrum of color combinations, high-quality materials and textures. There are not yet any reviews for Black Grey Multi Optical Men's Dress Socks.